At PinoyAndroids we are proud to be able to offer you the latest tech, including the most anticipated upcoming releases. With our connections at the source and direct shipping to you, you make sure you get the latest Smartphone or Tablet before anyone else. Check out our Coming Soon Items for the next big thing. Get it here first! * Please note by ordering pre-order items you are agreeing to the terms below. 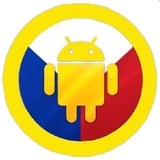 PinoyAndroids is not the manufacturer and many of the dates listed are not tentative release dates. They are only estimates given by the manufacturer and should be in stock within that time period. However, there are times when a pre-order item takes up to 4 weeks to arrive in stock. Before items are released we receive a price from the manufacturer and our listing price is based on that. The manufacturer will sometimes raise the price on the units based on their availability and limited quantities. At times the price may fluctuate during the pre-order waiting period. This can cause our cost to go up and you may be asked to pay a price increases when the item is released. Our team will work hard to make sure you are up to date on your order status, pricing, and stock availability. You will receive email notifications with any updates we receive from the manufacturer. You can change your order for a different product at anytime if you choose to no longer wait for the pre-order item. Email us to upgrade or downgrade order and we'll process your request.